The effort to compile a proper “reading order” for what is being called the Mignola-verse, which is made up of Hellboy and related characters, is difficult at best since they do not sync together clearly, though there is still a real continuity. The main books here are various Hellboy books, B.P.R.D. books, Abe Sapien, Witchfinder, and Lobster Johnson, amongst others. Here is a stab at the reading orders, first by different title and then by fictional chronology. 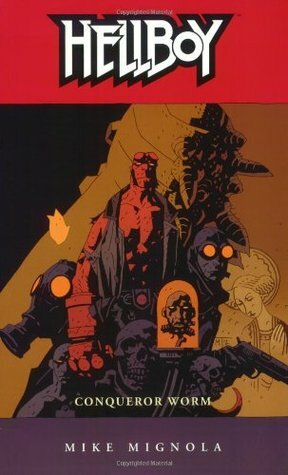 This post contains a (spoiler-free) intro to the “Mignolaverse” and one possible reading order for all series involved. Don’t dig around for more info regarding these series online until you’ve read them all—outside of this post, you will definitely find significant spoilers regarding recent events if you look these comics up. Even the Wikipedia articles aren’t safe. Ask me if you have any questions about anything, I’ll give you whatever info you need without spoilers! Feel free to click on some of the images below if you are interested in picking up any of these trade paperback collections. Curious about whether you might like Hellboy/BPRD? Try these out–if you like them, you’ll like the rest! Hellboy was summoned to earth to bring about its destruction at the end of WWII, but was instead taken in by a scholar and a bunch of soldiers and raised to become a pretty upstanding guy. He works for the Bureau for Paranormal Research and Defense with a few other misfits, including an amphibious man, a pyrokinetic, and a homunculus. They protect the world from the supernatural things that want to destroy it. The Hellboy comics are part of a universe of comics that has been developed by Mignola and a small team of writers and artists for almost 20 years now. The universe has grown to include several other titles, including two ongoing series, BPRD and Abe Sapien, and a number of limited series. Each title is as important as the others, and they all draw from each other. You don’t need to read any of the other series to understand Hellboy and BPRD, but reading them all is a lot of fun! Hellboy – Starts off as a sort of hero-bashing-Nazis-and-fighting-Lovecraftian-horror story, but over time breaks out of that mold to explore all sorts of paranormal and mythological stories. Though Hellboy doesn’t lose its roots as a “big guy hitting bigger guy” comic, it gets spookier and more introspective as the series goes on and the apocalypse draws nearer… at least, according to just about everybody Hellboy talks to (or punches). 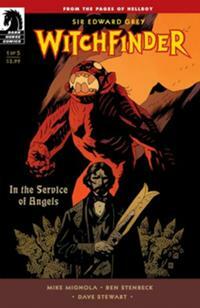 BPRD – The Hellboy comics split up into two different titles after the fifth trade, Conqueror Worm. After that, Hellboy goes off on his own while the BPRD deals with their own problems without him in BPRD. After the split, Hellboy is a more thoughtful, solo adventure and BPRD is a character-driven team book featuring lots of action and interesting personalities and stories. There have been two major story arcs to BPRD–Plague of Frogs (complete) and Hell on Earth (ongoing). 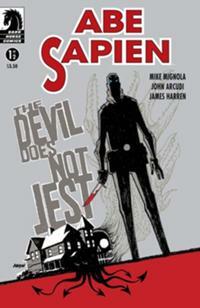 Abe Sapien – the first few arcs are flashback stories about about his earlier missions, but the new ongoing series that started in April 2013 is set in the present and runs parallel to present-day BPRD. Witchfinder – the adventures of a Victorian-era witch hunter. Lobster Johnson – the lost stories of a 1930s masked vigilante fighting paranormal crime in NYC. Sledgehammer ‘44 – a new series about a man in a metal suit. There are many different ways to read these comics. It’s a matter of preference which order you pick, but it’s probably intimidating to try to figure out a good order to read these comics in. In this post I present the simplest possible reading order I could come up with for the series. Both Hellboy and BPRD have a single main plotline that is set in the ‘present’ of the comics, though there are also a lot of side stories that take place in the past. Flashback stories and those set in the present timeline are all interconnected. Don’t skip anything just because it’s set in the past! This list is in chronological order with respect to the individual series themselves. Each series has been grouped together so you don’t have to jump around between a bunch of different plots as you read them. Lobster Johnson – Get the Lobster! Witch-hunter Henry Hood confronts a witch despite her family’s protests. Edward Grey saves Queen Victoria from witches. Grey confronts an occult conspiracy involving ancient artifacts, a monster and the Heliotropic Brotherhood of Ra. Grey hunts an escaped criminal into the Wild West and finds a supernatural menace. The Lobster launches his war on crime and confronts ghostly Indians, gangsters and an occult Nazi threat. The Lobster thwarts a cabal of German scientists plotting to use a deadly chemical weapon on New York. The Lobster discovers a scientist conducting neurosurgical experiments on unwilling guinea pigs. A gangster enlists supernatural help to defeat the Lobster. The Lobster finds himself working alongside New York’s tongs—Chinese gangs—against an uncanny Japanese agent, the Crimson Lotus. A nightclub owner steals an Egyptian mummy, unaware he’s being manipulated by a schemer plotting to tap the mummy’s magic. The Lobster goes up against the sinister Mehmet Saa in a battle for control of Hyperborea’s lost arcane secrets. The Lobster investigates the deaths of several scientists. A young, reckless Trevor Bruttenholm confronts his first ghost. Professor Howard Eaton joins Bruttenholm on another occult investigation. The Lobster dies trying to stop a Nazi attempt to summon the Ogdru Jahad to Earth. 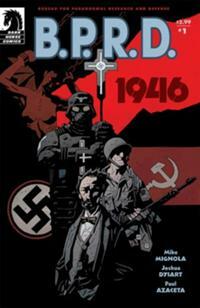 An American platoon is assigned to back up a man taking on the Nazis with a vril-powered battlesuit. Redding, the new occupant of the battle-suit, reluctantly goes into action against the Black Flame to rescue an American pilot. Bruttenholm leads an Allied effort to thwart a Nazi ritual, but the ritual nevertheless brings forth—Hellboy! (this is actually a flashback, not a separate story, but it’s too big a moment not to mention). In occupied Berlin, Professor Bruttenholm recruits his first group of agents and a Russian demon-child to investigate the lingering Nazi threat of Operation Vampire Storm. Hellboy tries pancakes for the first time. Bruttenholm’s newest recruits encounter more vampires. Bruttenholm investigates weird phenomena around an atom-bomb test site and falls for a physicist. Possessed by vampire spirits, Simon Anders sets out to fight back against the undead. Hellboy runs away to the circus, but this circus is a trap designed to lure him to the side of Hell. The Osiris Club pits Hellboy against a dragon to learn his true nature. Bruttenholm sends Hellboy to Norway to help a friend investigate the eerie King Vold. Investigating a wave of occult attacks in Mexico, Hellboy joins forces with three luchadores. Still in Mexico, Hellboy agrees to challenge a seemingly unbeatable wrestler. Hellboy battles a Malaysian vampire. In the Appalachians, Hellboy and a Korean War veteran take on a miser who collects souls for Hell. To restore a baby traded for a changeling, Hellboy has to give a hanged corpse a Christian burial. Hellboy saves a woman from the Nazi scientist Von Klempt and his super-gorilla. A serial killer tells Hellboy the murders are all the work of the haunted house he bought. Hellboy tries to stop a lunatic from resurrecting the Egyptian gods. Hellboy battles a hydra and tries to make sense of why a ghostly lion helps him. Hellboy faces a monster out of British folklore. An old Norwegian woman tells Hellboy a legend and helps him destroy some murderous trolls. Hellboy battles the legendary Russian witch and shoots her eye out. Hunting a vampire, Hellboy learns the undead have a long-range plan to destroy humanity. During a visit to Kyoto, Hellboy stays in a haunted house. 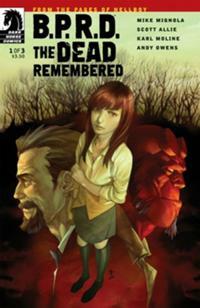 Two years after Liz Sherman arrives at the BPRD, Professor Bruttenholm takes her along to investigate a haunting. A medium summons up an ectoplasmic manifestation he can’t control. Hunting a werewolf forces Liz and Abe to think about the dead they’ve left in their wake. Hellboy battles an accursed vampire that can only die when someone beats him at cards. Hellboy finds that to stake vampire Ilona Kakosy he’ll have to defeat her unholy overlord, the Varcolac. Abe accepts another “routine” case involving the ghost of a drowned boy. BPRD agents Abe Sapiens and Sal Tasso set out to salvage the Melchiore Burgonet, lost at sea for 40 years. An occultist attempts to reclaim his family’s mystic legacy, but it doesn’t go well. A Nebraska boy’s wish for a mystic transformation draws the attention of alien abductors. Investigating an old missing persons case, Abe discovers a house that holds a gateway into Hell. Hellboy attempts to rescue a kidnapped college student only to discover he’s fighting on the wrong side. Hellboy and Abe Sapiens attempt to stop Blackbeard’s headless corpse from reclaiming its head and launching a reign of terror. Hellboy and a BPRD researcher visit an old mansion where the researcher is initiated into a terrifying cult. On Christmas Eve, Hellboy tries to free an old woman from a vampiric curse. 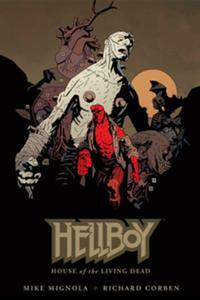 Investigating a mad scientist’s laboratory, Hellboy finds himself trapped in a ghostly replay of the past. Hellboy confronts a poetry-quoting immortalist who sustains himself by eating corpses. 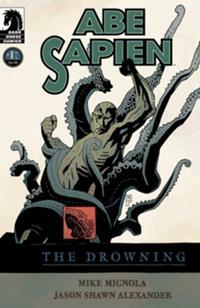 Abe Sapiens battles against a mysterious curse plaguing ships in the Atlantic. An African mummy causes Hellboy to relive the battles of the legendary African warrior Makoma. After demonic frogs murder Professor Bruttenholm, Hellboy, Abe and Liz discover Rasputin has returned with a plan to bring about the apocalypse—and Hellboy has a starring role. The death of Hellboy’s friend draws Hellboy and Kate Corrigan to a town governed by a werewolf curse. In a small Southwestern town, Hellboy confronts the god Anubis. Hellboy returns to the church where he first appeared and learns part of the secret behind his birth. Hellboy investigates a fantastic plot involving Nazis, vampires and Rasputin, and glimpses more of the mystery behind his destiny. Meanwhile, Liz reanimates a centuries-old homunculus. Hellboy tries to hunt down the homunculus that drained Liz’s power, before the loss kills her. When BPRD scientists decide to dissect Roger the homunculus, Abe takes drastic steps to revive him. A priest gives Hellboy some information about the origin of his stone right hand. Occultist Igor Bromhead settles an old score by giving Hellboy’s destiny and power to a minor demon. Hellboy and Roger investigate eerie goings-on at a decayed Southern mansion. When a Nazi space capsule returns to Earth, Hellboy and Roger must thwart a madman’s plan to free the Ogdru Jahad from their cosmic jail. After surviving the death of his body, the spirit of Johann Krauss goes up against a malevolent spirit that devours ghosts. Kate reads Krauss’s file and decides he’ll make a good recruit. Two years after Liz retreats to a monastery to learn better control of her powers, troglodytes arise from inside the Earth to kidnap her and exploit her pyrotic abilities. In his first mission, Johann joins Abe and Roger to rescue her. After a year in Africa, Hellboy is drawn into the sea where a witch plans to thwart the apocalypse by destroying him and his right hand of doom forever. The agents battle an immortal plotting to sacrifice the spirit of Venice to the forces of Hell. When a New England town uncovers the corpses of three women hung for witchcraft, hate possesses a clergyman and drives him to begin a new crusade against witches. Roger and Liz join forces with the Lobster’s ghost to capture a Nazi spy hunted by the ghosts of his victims. 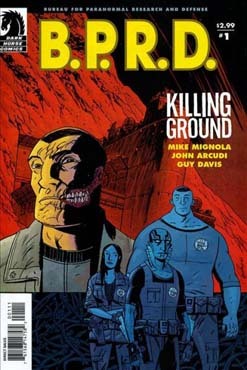 The BPRD investigates when monsters from under the bed kidnap some children. A medieval tyrant rises from his grave to confront Johann and Abe. The spirit of a giant monster overpowers Johann when he attempts to contact it. Hellboy washes up on an island where a follower of the Ogdru Jahad reveals the secrets behind Hellboy’s stone hand—which he plans to steal and wield to free the monstrous Ogdru Hem. A neo-Nazi embraces the role of the Axis agent the Black Flame and begins leading the frog creatures in efforts to wake up the terrifying Kathu-Hem. Seeking an alchemical treatise that can restore Roger to life, Kate becomes the prisoner of an aristocratic occultist. A mysterious message leads Abe and Capt. Daimio to the Oannes Society, an occult group that knows the secret of Abe’s past—and a sorcerous scheme that will wipe out millions of innocent people. A mole on Hellboy’s hand develops a terrifying life of its own. 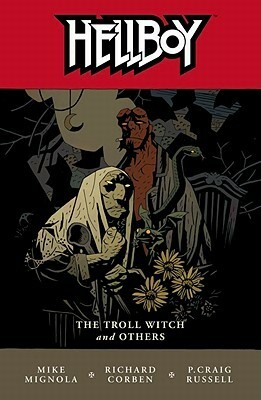 After Hellboy refuses to become king of England’s witches, Baba Yaga lures him into the world of Russian myth so that Koschei the Deathless can avenge Hellboy shooting out her eye. The BPRD is thrown into chaos when a wendigo imprisoned at the base breaks out—and it turns out it’s not the only man-monster stalking the halls (cover by Guy Davis, rights with current holder). In the aftermath of Daimio’s transformation, Johann takes possession of a mystical knife that can kill the captain. 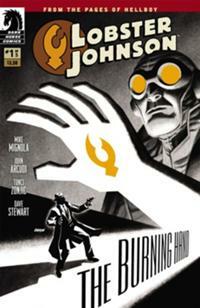 The BPRD tries to enlist Lobster Johnson’s ghost against Gilfryd, the occultist entering Liz’s dreams. Gilfryd, however, reveals they’re facing another threat to the world besides the plague of frogs. With the help of the Lobster and his men, the BPRD tracks down Gilfryd. He warns them that letting him control Liz is the only way to save humanity from the nightmare that’s coming. The Osiris Club invites Hellboy to help fight against an army of resurrected giants. What follows makes Hellboy realize he hasn’t completely beaten his destiny, and reveals new secrets about his heritage. Abe goes AWOL to investigate a possible wendigo sighting in Canada, where he meets an old friend and a dangerous new menace. Abe and Devon investigate Fenix, a psychic vagabond who seems able to foresee attacks by monsters. Liz’s life in a trailer park is disrupted when it turns out her neighbors are part of an Oghdru Hem-worshipping cult. The witch Nimue becomes possessed by the Oghdru Jahad as Hellboy decides it’s time to fight. Hellboy goes into battle against Nimue, but saving the world will come at a terrible price. Kate learns what happened to Hellboy in his battle to save England. Devon and Fenix struggle to return to the BPRD’s base despite the growing number of monsters infesting the country. Johann leads a strike force into the Canadian forests to get revenge on Captain Daimio for destroying his body. A BPRD agent learns that vampires are covertly building up their forces for a war with humanity. The power of a Hyperborean sword plunges one BPRD agent into prehistoric times—but even there, he must battle the threat of the Oghdru Jahad. 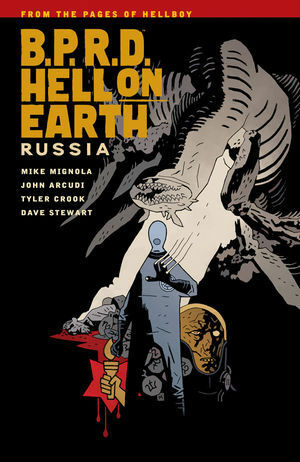 The BPRD races to stop a new Oghdru Hem threat in Scotland, while Zinco Corporation attempts the resurrection of Rasputin. Abe leaves the BPRD to find the reasons behind his strange transformation. He soon discovers that his days of fighting monsters aren’t over yet. Drifters seeking the meaning of the changes in the world encounter a personal tragedy on the edge of the Salton Sea. The newly deceased Hellboy finds himself in Pandemonium, city of demons–but it’s abandoned and almost completely empty except for him. Liz begins regaining control of her fire powers, but can she do it in time to stop a mad scientist experimenting on a friend? Abe makes friends with a Latino family coping with both monsters and bigots. A cop assures Abe that the teenagers who’ve wandered into his small town are harmless. The cop, of course, is wrong. Still interested in reading more Hellboy? Just thought I’d point out Abe Sapien #8, #15, and #23 are flashback stories, not ongoing. They’ll be collected with a few other (yet to come) Abe Sapien flashbacks in a trade paperback some day. “The Land of the Dead” is set in 1983, “Lost Lives” is set in 2005, and “The Ogopogo” (which comes out later this month) is set in 1992.